SMART Recovery applies scientifically-valid methods to self-help in addiction recovery. Our goal is to make our meetings and support available worldwide to all those who’s lives have been devastated by addiction. Your support allows us to continue our important work of expanding our products and services worldwide with more facilitators and meetings, greater awareness of our program, increasing our online presence, and serving individuals who seek our help. “I donate to SMART Recovery because I believe this scientific approach to helping people with addictions is a needed alternative to the 12-Step approach.” — M.C. Your donations and the assistance they provide are vital as we work to make a scientifically-based method of self-help available as a choice to anyone, anywhere, that is dealing with addiction. “I donate regularly (and encourage others to do so) because I want to recognize those who told me that my life was worth saving. They helped me believe I could choose life over addiction. I did, and life is now amazing.” — M.N. 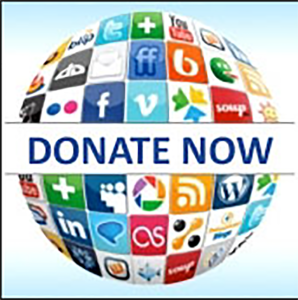 You can choose between our General Fund and our Online Community as well as choose between making single one-time donations or setting up convenient automatic monthly donations. Select an area and type of donation in the drop-down box below. Please Note: SMART Recovery is a U.S. federally registered charitable organization (FEIN 52-1811500) — your contribution is U.S. tax deductible. Use Qgiv and experience the same convenient giving options. Thank You for supporting SMART Recovery! Help SMART Recovery as you shop online at your favourite stores! by shopping at over 2,800 popular online stores!